In the city of Pyre, only those with excellent genetics can visit Earth’s colony planets, including the legendary Orithyia. Those without this advantage live in relative poverty, under the forceful control of the Council. Quinn isn’t one of Pyre’s elite, though she’s desperate to see the stars. After an incident with the Council’s thugs, she stows away on the latest ship to launch, the Neptune. But when a series of deadly ‘accidents’ occur on board, Quinn and her new friends must figure out who’s orchestrating the attacks – and why. 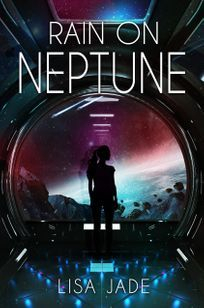 Rain on Neptune is a futuristic/sci-fi read that will completely capture your imagination and transport you right into Quinn's very different world.